Christmas may be over and the holiday season starting to wind down, but there’s still a little fire in the yule log. 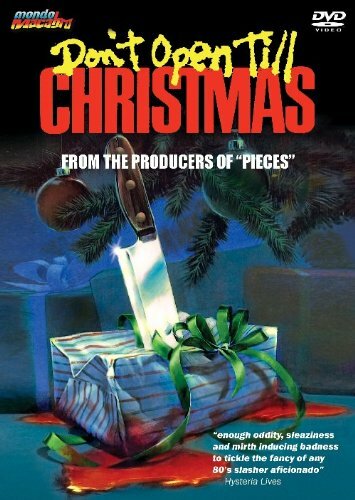 This week on Dread Media in episode 487, I take a look at Don’t Open Till Christmas (1984). I think it’s safe now to check out the trailer on YouTube or add the DVD to your collection. Definitely worth checking out to see a different take on the Santa slasher theme. 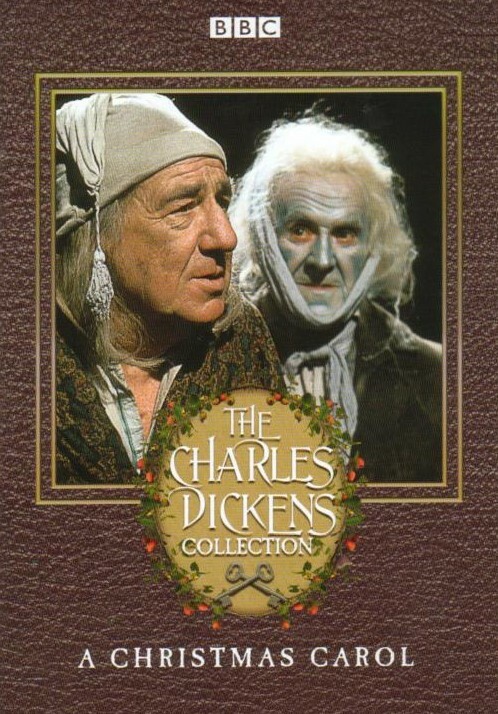 Every year, I manage to watch and listen to several different versions of the classic Charles Dickens tale of Scrooge. A Christmas Carol always makes my Christmas season complete. For film, my personal favorite is the 1951 version starring Alastair Sim. For radio adaptations, it doesn’t get any better than the 1939 Campbell Playhouse version featuring Lionel Barrymore and Orson Welles. However, I also love to stir things up every year by throwing in some other versions. This year, for my old time radio choice, I returned to a slightly more modern one from 1975. In 1974, Inner Sanctum Mysteries producer Himan Brown brought radio plays back to fashion with the CBS Radio Mystery Theater. For the next eight years, he offered up an astounding 1,399 episodes every weeknight. E.G. Marshall was our host of the macabre from the first episode in 1974 to 1982, when he was replaced by Tammy Grimes for the final season. In 1975, E.G. 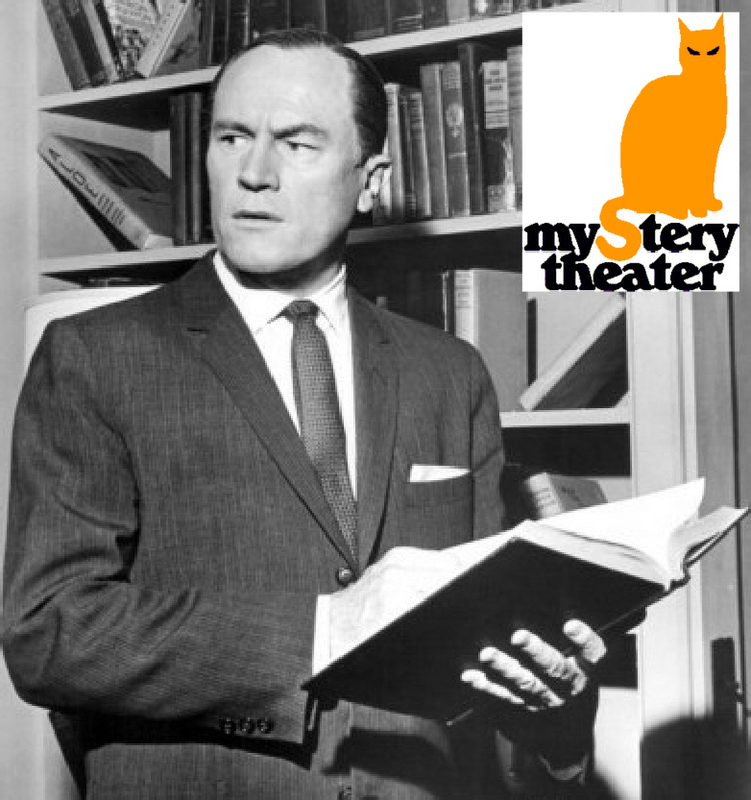 Marshall stepped away from the hosting duties and into the tale itself when the CBS Radio Mystery Theater gave us their version of A Christmas Carol. Marshall turns in a wonderfully fun performance as Ebenezer Scrooge. 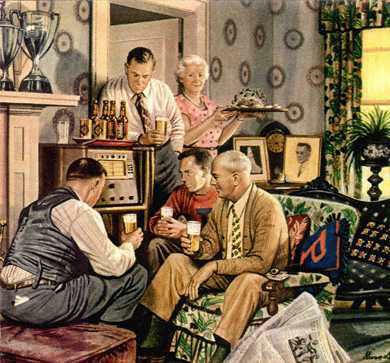 While this doesn’t surpass my personal favorite from 1939, it ranks up there as one of the better radio adaptations, if not the second best, in my opinion. From 1975 until 1981, it was a yearly tradition for the CBS Radio Mystery Theater. So why don’t you turn down the lights and invite Mr. Marshall in so he can share with you a ghostly Christmas tale. It’s available on YouTube for all to enjoy! 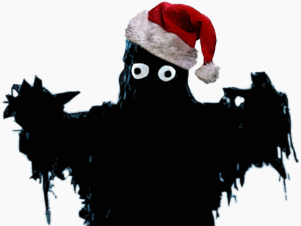 Merry Christmas from Monster Movie Kid! I hope your stockings are full of monster goodness and that there won’t be a stake of holly in your heart on Christmas morning! Plot: It’s Christmas Eve and the elves are worried. The reindeer have returned but Santa and the sleigh are missing. It appears that he’s stuck on a beach in sunny and hot Florida. 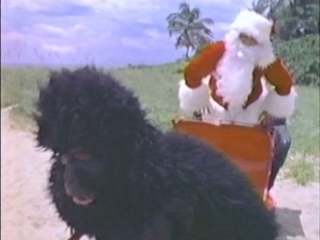 He cries out for children to help him and they attempt with a wide variety of livestock…and a gorilla…on a beach. When they are unable, he passes the time by telling them the story of Thumbelina. But who is the Ice Cream Bunny and what does he have to do with this movie? Personal Thoughts: Once upon a time, children were apparently starved for entertainment. Before the days of the internet and 24 hour TV, they would run to the movie theater for those wonderful kiddie matinees. Usually, some bizarre Mexican horror flick or European fairy tale was shown. 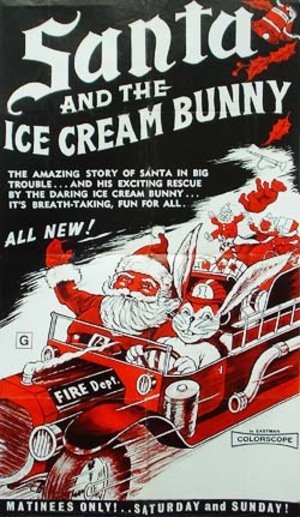 But, every once in a while, they would get a movie like Santa and the Ice Cream Bunny. This is essentially a poorly made effort to make a quick buck or two. There is the wrap around story of Santa on a beach with horribly dubbed in voices and musical numbers from the kids. Within, there is another slightly better made effort. I watched the Thumbelina version but there is apparently a Jack and the Beanstalk one out there too. Poor Shay Garner, who stars as Thumbelina, appears to be bored out of her mind but it’s actually not a bad effort at the classic tale. It just has nothing to do with Santa. Once we get back to the beach, with 10 minutes to spare, the Ice Cream Bunny shows up in an antique fire engine that can barely move thanks to being weighted down with a bunch of the kids. His job is to drive Santa back to the North Pole. After Santa is gone, the sleigh disappears and according to the narrator, the sleigh is waiting for him. Now, I have no idea who this bunny is but if the sleigh could magically be transported back to the North Pole, why did he need the children and the Ice Cream Bunny to save him? Major plot hole aside, this bizarre oddity is worth seeing at least once. At least it’s better than Christmas on Mars (2008)…I think. Segments were filmed at the Pirate’s World amusement park, which existed in Dania, Florida from 1967 to 1975. It was successful in its’ earlier years but when Disney World opened in 1971, it didn’t stand a chance. It was also a venue for many late 60s and early 70s rock acts, including Led Zeppelin and Black Sabbath. Some prints contain the Thumbelina story (made in 1970) while others have Jack and the Beanstalk, both films made by Barry Mahon. Tom Sawyer and Huck Finn have an incredibly odd cameo. Barry Mahon wanted to make a Tom Sawyer film but abandoned the idea. Their cameo is all that remains of that unfinished film. Winer never made another film, so it’s likely a pseudonym for another director…or common sense kicked in. Jay Ripley is actually an accomplished TV and film actor, including roles in Bonanza, Gunsmoke and The Waltons. His biggest film appearance was alongside John Wayne in the original True Grit (1969). This was the film debut for actress Shay Garner. It would be another 12 years before she made another movie, Humongous (1982), and even left her mark on the Star Trek universe with a guest role on Star Trek: The Next Generation in 1991. 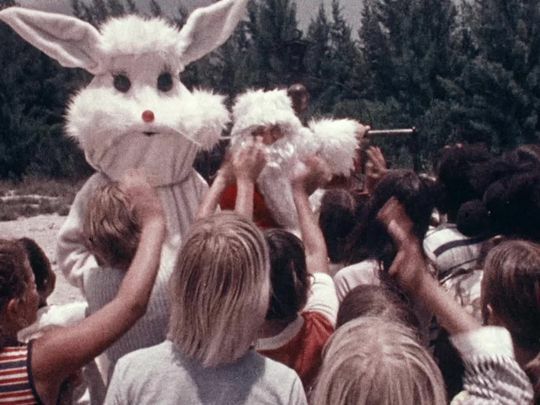 The children in the film are billed as being from Ruth Foreman’s Pied Piper Playhouse, which boasted a 40-year tradition of helping aspiring young actors and artists in Florida. Her story is actually an amazing one. It’s well worth the time to read and learn more about this local legend. You can watch this with commentary on YouTube (watch out for some language if the kids are in the room) or get the RiffTrax version on DVD from Amazon. In either case, I recommend some spiked eggnog…lots of it! Plot: I think you know the story by now. 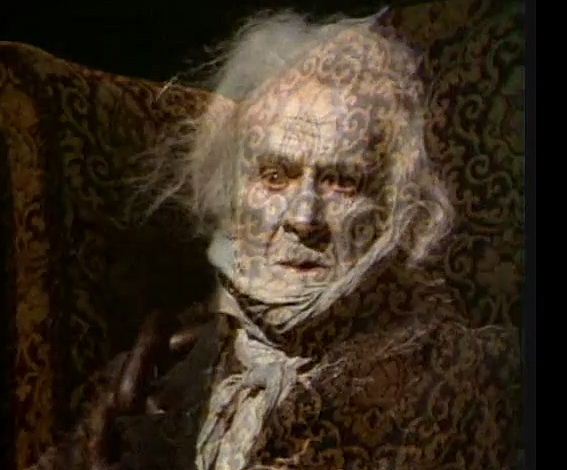 Scrooge is a miser and a miserable old soul. On Christmas Eve, he visited by three ghosts who show him what was, what is and what will be. Is it too late to avoid the lonely grave that awaits him? Personal Thoughts: The BBC has a tradition of showing specials on Christmas Eve and Day, something that’s only recently come to the attention of American audiences, thanks to Doctor Who. In 1977, they attempted to create their own version of the classic tale. However, with a shoestring budget and the constraints of a one-hour timeframe, the result was rather limited. If you’ve ever seen a classic episode of Doctor Who from this time period, then you know how wobbly sets and poor special effects were a staple of UK TV. There are some odd sequences where actors are superimposed over poorly drawn artwork. I suppose it adds a certain charm but it causes those sequences to look incredibly cheap. However, the acting is what elevates this low-budget effort from the obscurity it’s suffered through. 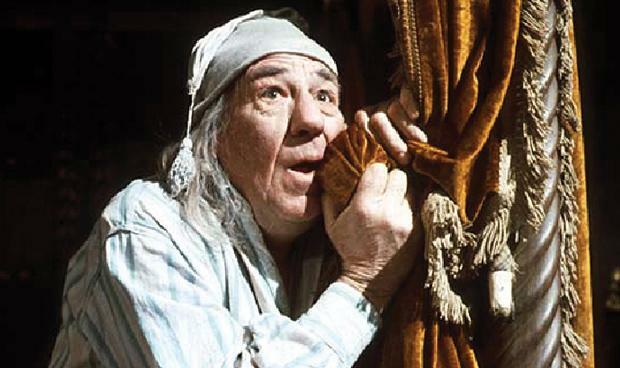 Michael Hordern turns in a very convincing performance of Scrooge that surpasses other films and specials I’ve seen over the years. John Le Mesurier is good as Marley but not my all-time favorite. It was fun to see the familiar faces of Patricia Quinn and Bernard Lee. I really liked what Paul Copley did with his version of Fred but Clive Merrison was lacking a little in the Cratchit department. Overall, despite it’s time and budget limitations, this is a version I will return to in the future. It won’t be a yearly visit but this version deserves more attention than it receives. Patricia Quinn is best remembered for her role of Magenta in The Rocky Horror Picture Show (1975). She recently appeared in The Lords of Salem (2012). Bernard Lee was the original M in the James Bond film series, starring in the first eleven films before his death in 1981. Sadly, this version has never been released on home media in the United States and the UK version is now out-of-print. Luckily, it is currently available on YouTube for your viewing pleasure. Watch it while you can! It’s another cold December night. The fire is roaring and your glass is full of egg nog. But what’s this? You’re not in the mood for Christmas cheer? You want a ghostly, horrific tale to haunt your dreams instead of sugar plums? If my suggestions back in 2013 weren’t enough for you, then sit back and turn on the radio to listen to these tales from Christmas past. 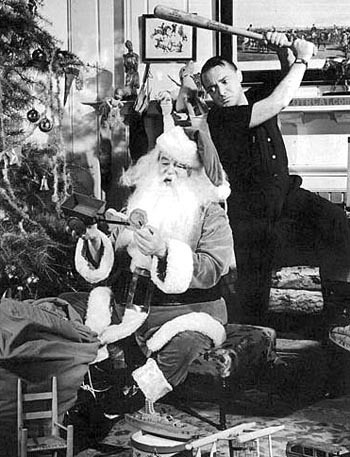 Suspense – Back for Christmas (12-23-43): While I know the Escape version a little better, this one starring the legendary Peter Lorre is a perfect horror and holiday mix. It’s a tale of a henpecked husband who has some dark Christmas plans for his nagging wife. And what is this Devil’s garden he’s making in his basement? Lights Out – Uninhabited (1937): Arch Oboler always weaves a story that gets under your skin and remains with you. Long after the Christmas tree is packed away, this suspenseful story of war-torn France in 1918 will haunt your soul. The Mysterious Traveler – New Year’s Nightmare (Jan. 5, 1947): Christmas is over and New Year’s Day is right around the corner. We all know how excessive drinking is a rite of passage for some on New Year’s Eve. This is a story of what happens when it causes a man to lose his fiancée and the dark path it sets him on. Shortly after I launched Monster Movie Kid in October 2012, the Christmas season arrived. I decided it would be fun to review some Christmas films, both traditional and horrific. This year will be no different, so let the 5th Annual Countdown to Christmas begin! 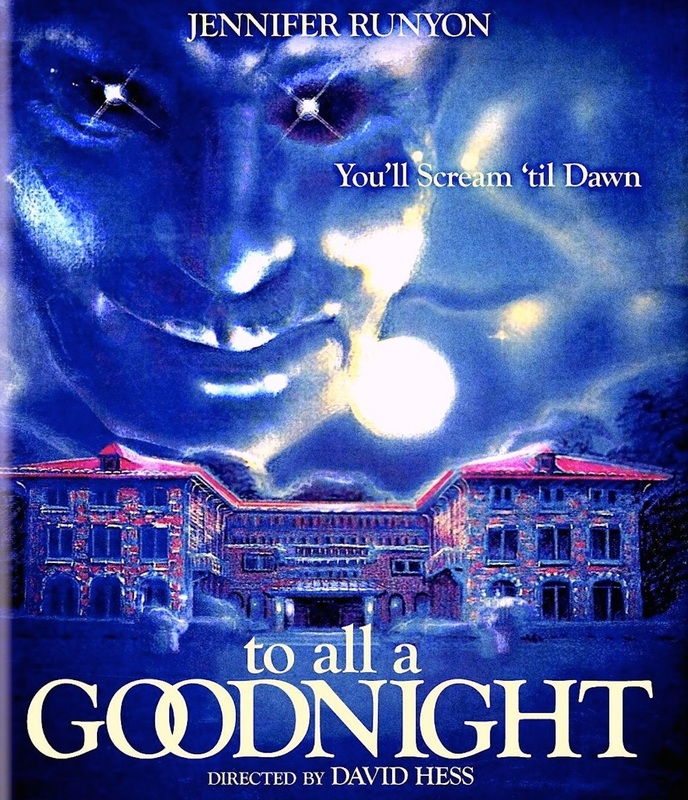 I start things off over at the Dread Media podcast with a look at a forgotten Santa slasher called To All a Goodnight (1980). Listen to episode 486 and find out why nobody talks about it! If you are daring, you can watch the movie on YouTube or add it to your collection. And be sure come back every day this week for some OTR suggestions, a Christmas oddity and my ongoing yearly Scrooge recommendations! 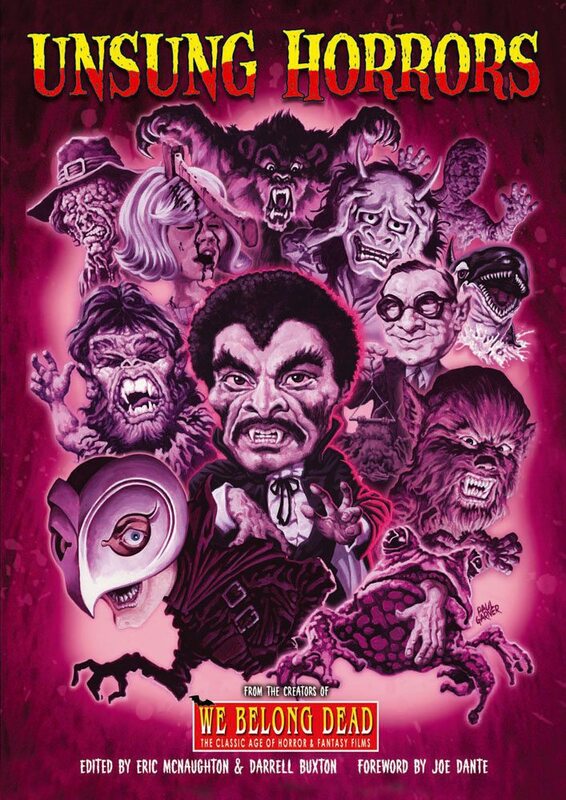 Unsung Horrors edited by Eric McNaugton & Darrell Buxton, forward by Joe Dante, softcover, 448 pages, approximately $70 US dollars: You might freak out a little at the price tag on this one but it is worth every penny. With full-color pages, it is jam packed with amazing content. Over 200 horror films are reviewed, including two by a very good friend of Monster Movie Kid, Mr. Jeff Owens of Boom Howdy and the Classic Horrors Club. This is expected to sell out, so get yours today! Highly recommended! 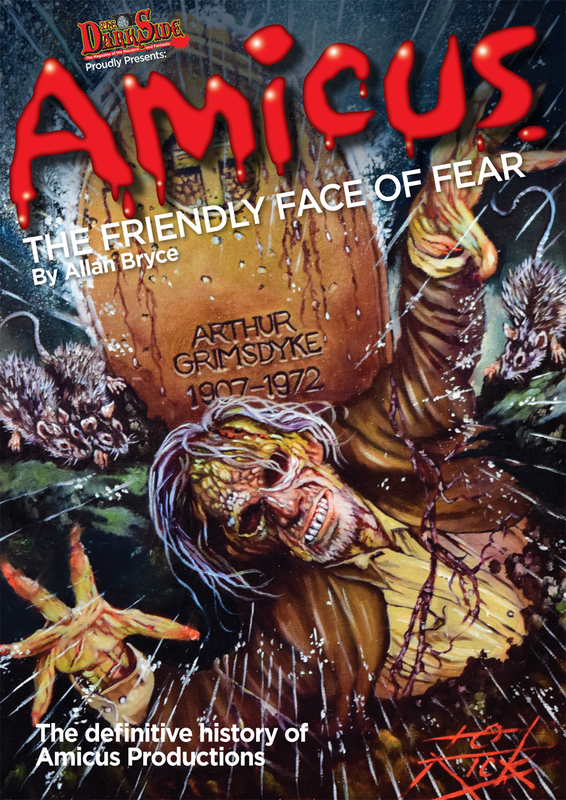 Amicus: The Friendly Face of Fear by Allan Bryce, softcover, 166 pages, approximately $30 US dollars: Everything you’d ever want to know about Amicus films. Great presentation with full-color pages. This is the author’s companion piece to the more detailed but out-of-print Amicus, The Studio That Dripped Blood. This is another great addition to your cinematic library. 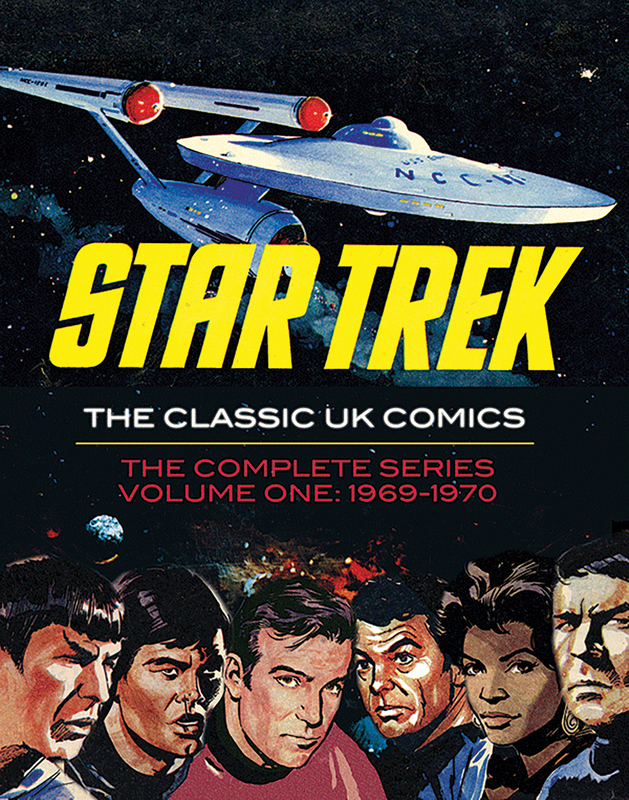 Star Trek: The Classic UK Comics – The Complete Series, Volume One: 1969-1970, hardcover, 236 pages, $49.99 (but can easily be found for less): If you’re like me, you’ve never heard of these rare UK comics. These were published some six months before the original series debuted on UK television. Therefore, they don’t always stick to the Star Trek canon guidelines but are still just as entertaining. For the Trekkie in your life who thinks they have everything during this 50th anniversary year. Available from Amazon and the usual sources. Bram Stoker’s Dracula, read by Tony Todd and Anthony D.P. Mann, vinyl LP, $29.00: This amazing 30-minute audio production features horror legend Tony Todd (Candyman) as Count Dracula, in addition to the amazing talents of Anthony D.P. Mann (Horror Etc. podcast, actor and director). 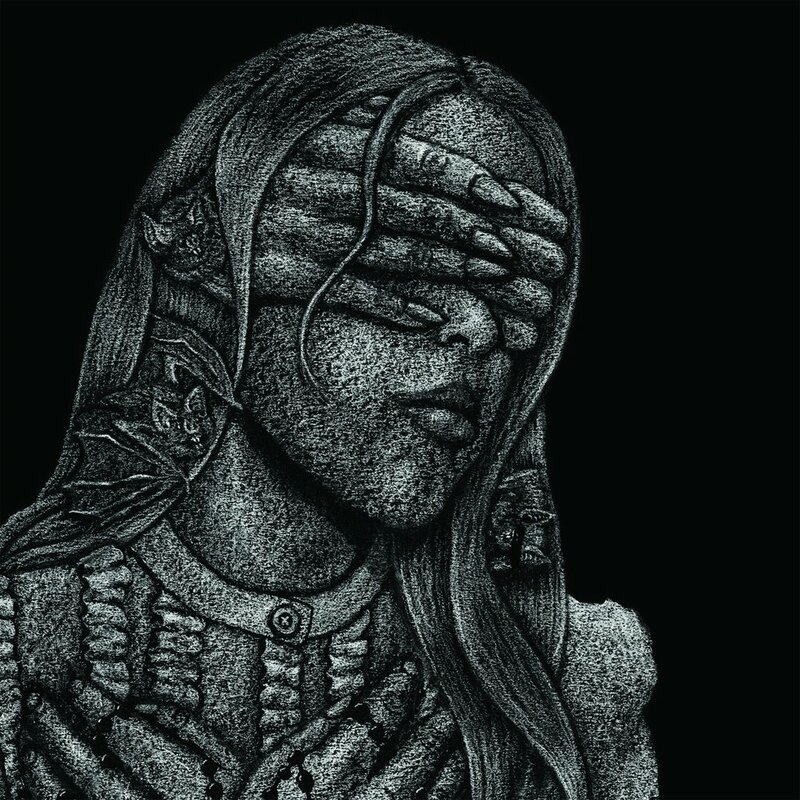 Available from Cadabra Records featuring liner notes from Anthony and cover art from Dylan Garrett Smith, they are taking pre-orders now and shipping in February. This will sell out, so order today! Highly recommended! The films of the Mihmiverse, various titles from director Christopher R. Mihm, $9.99 on DVD: With 11 films to choose from, including Weresquito: Nazi Hunter (2016), you can’t go wrong with choosing any of these to add to your collection. They are the perfect homage to the films of the past that we all love. That said, why not add them all to your wish list! Go to sainteuphoria.com and consider becoming a contributor to his next film, Demon with the Atomic Brain (2017)! The novels of Stephen D. Sullivan, various titles and prices: Are you a fan of the Mihmiverse? If so, then you should definitely check out Canoe Cops vs. The Mummy. Perhaps you want a little more Manos: The Hands of Fate (2016 Scribe award winner for Best Adapted Novel). Maybe Manos: The Talons of Fate is more your style. These and many more are available at Stephen’s website! Be sure to tell him Monster Movie Kid sent ya! 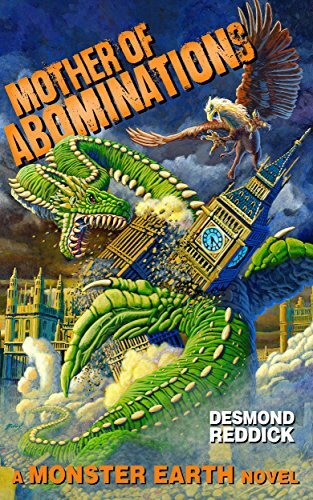 Mother of Abominations by Desmond Reddick, $2.99 on Kindle: Desmond is the mastermind behind the Dread Media podcast and is the author of several books and short stories. This is his latest effort and currently only available for your Kindle and like devices. Now, Monster Movie Kid is old school and still waiting for the print copy but if you are up with your Kindle or digital books, this has received some amazing reviews and that’s good enough for the Monster Movie Kid seal of approval. Solitary by CW Cooke, $17.95 trade paperback: I first met writer CW Cooke in 2014 shortly after I moved to Kansas City and let me tell you, his work is amazing. Trust me when I say he’s a rising star on the verge of his big break. Grab this trade paperback and you’ll be hooked. Highly recommended! 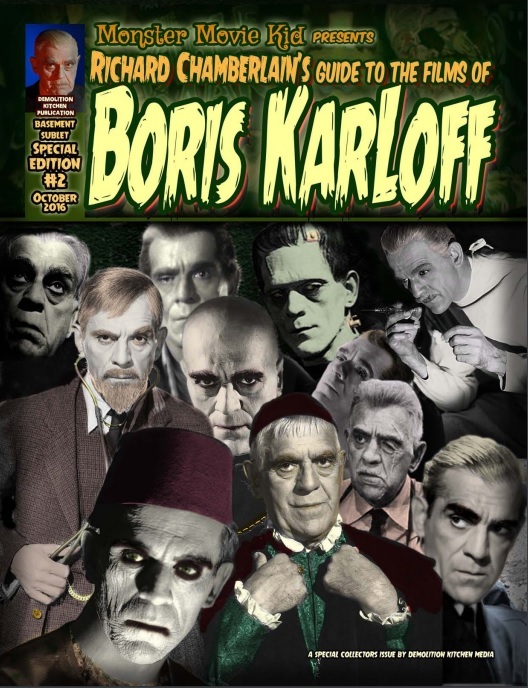 Richard Chamberlain’s Guide to the Films of Boris Karloff, $1.99 digital download or $6.00 print-on-demand on Indy Planet: These are the Boris Karloff film reviews previously seen here on Monster Movie Kid and in the pages of The Basement Sublet of Horror Put together by Joel Sanderson, this is a great addition to your film library (if I do say so myself). While you’re at it, be sure to check out all six issues and special edition #1 from the magazine. You’ll be glad you did! These are just a few ideas from recent purchases and friends of Monster Movie Kid! Always support your friends and local creators! Happy shopping and Merry Christmas!